You are probably familiar with Alexander the Great, a chap who in antiquity conquered most of the known world long before anyone had heard of the Roman Empire. 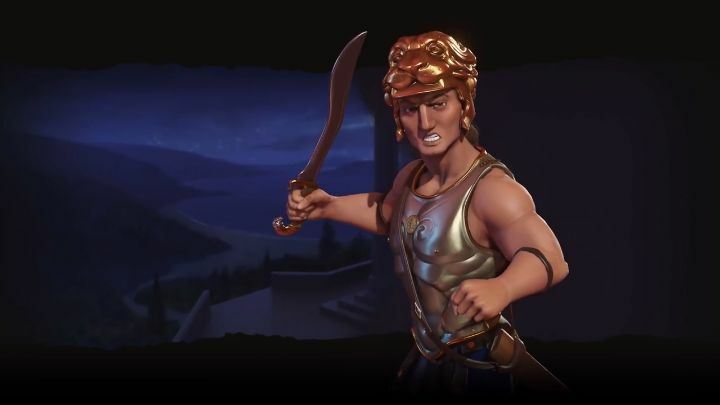 And fans of the Civilization series of strategy games will be happy to know that Alexander will soon be joining the roster of Civilization VI’s leaders in an upcoming DLC for the game. Alexander will lead Macedon in the game, and as you can imagine this will be a conquest-focused civilization (civ for short) in Firaxis latest strategy game. Actually, Macedon will be a perfect fit for warmongers in the game, as this civ gets bonuses when conquering cities depending on the kind of districts found in it. And in order to conquer their foes, those playing as Macedon will be able to rely on the “Hypaspist” military unit. These are particularly good are besieging city districts, and replace the regular swordsmen in the game. Of course, those playing as Alexander in the game will wonder if hitting their neighbours so hard will make them fall behind in other areas (such as research) or whether war weariness in their civ will prevent them from winning the game by conquest. Fortunately this won’t be the case, as Macedon’s unique building (the fancily named “Basilikoi Paides”) will generate extra science for them every time a military unit is trained in the city where it is based. Plus Alexander has a special ability which reduces war weariness in the Macedonian civ, meaning people are more likely to turn a blind eye to your bloody conquests. The Macedonian civ will be coming to Civilization VI in a DLC this spring together with the also interesting Persian civ, something surely to look forward to for those still playing and enjoying this latest Civilization game.